COMPLEX PROJECTS, UNDER ANY CONDITIONS, WITHIN DEADLINES. Managing Complex Projects, Under Challenging Conditions, with Tight Deadlines. Evolution Shotcrete’s reputation for excellence has been built on experience, passion and dedication to finishing projects on time and within budget. We use the latest shotcrete application technology to ensure projects are of the highest quality and standards. 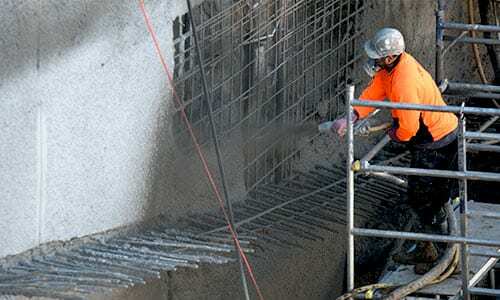 Evolution Shotcrete are experts in the application of shotcrete for all engineering related fields such as; retaining walls, slope stabilisation, drainage, tunnels and water tanks. 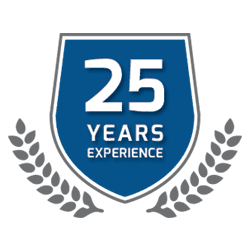 To exceed our clients’ expectations for quality, durability and health & safety while delivering expert technical knowledge, sound environmental management, effective planning and accurate cost control for an exceptional result. What is it? What are the advantages? Shotcrete is often regarded as a superior method of concrete application in comparison with standard poured concrete. The main reason for this lies in the method of mixing, transporting and applying the concrete, rather than the material components of the concrete itself. Shotcrete is higher in density, lower in permeability and requires less water content than standard poured concrete. The result of the higher density and low permeability, caused by the high velocity of placement, is that shotcrete has a 30% higher compressive strength and is more durable against freezing, cracking, abrasion and has a greater bonding/adhesion capcity than conventionally poured concrete. 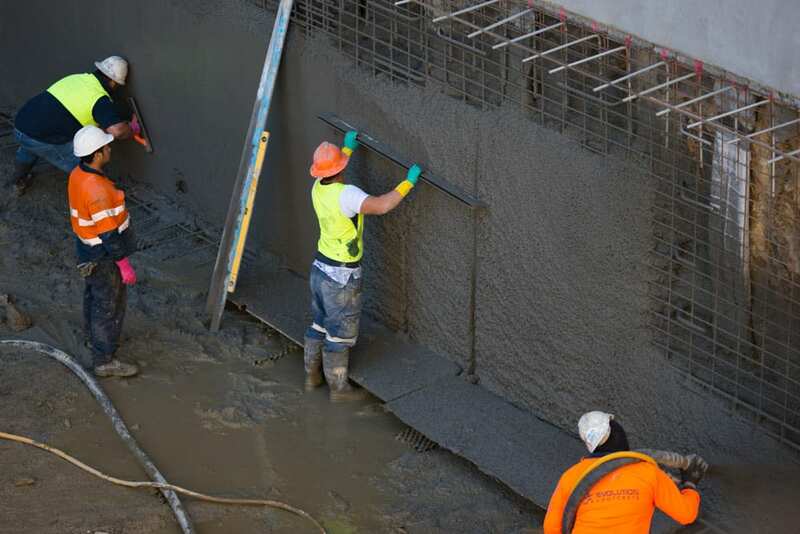 The shotcrete method is advantageous in regards to the ease of application in difficult locations and site situations, the speed at which the concrete is applied, the reduction in framework that is required to apply it and the lack of maintenance required (post application).